One need only drive interstates and byways of Wisconsin, Kansas, Oklahoma, or Texas, to see their transformation by farms of windmills marching toward the horizon. Eighteen-wheelers carry colossal blades (instead of pressure pumping equipment for fracking in some regions) through small towns, a symbol of how wind farm installations are increasing. Prompted by a tax credit, the use of wind has evolved from an appreciated assist (sailing ships, sailboats, windmills for water wells), annoyance (upending picnics), or danger (tornadoes) to 5% of the United States' installed electric utility generation capacity. Last year, for example, Iowa generated over 30 percent of its electricity from wind. South Dakota generated 25%, and big-energy Texas generated 10 percent. 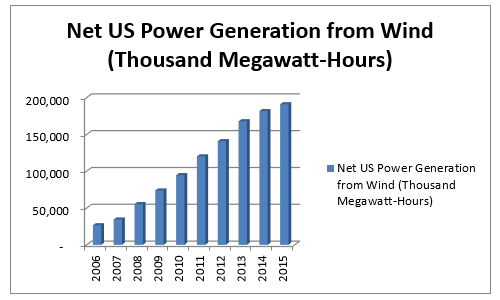 According to the industry group American Wind Energy Association (AWEA) "over a dozen states now use wind to generate at least ten percent of their electricity." Not only is wind a part of many electric utilities' energy supply portfolio, it is also a desirable energy source for companies and universities such as Walmart, Google, Facebook, Proctor & Gamble, Microsoft, General Motors, Cornell University and Oklahoma State University. By the end of 2015, corporate and non-utility buyers (utility buyers are the traditional purchasers of wind energy) had signed contracts for 4,500 megawatts of wind capacity, enough to power 1.2 million homes. They were 52 percent of the buyers, a new record. The attraction of the power purchase agreements, according to Greg Alvarez of AWEA, is that customers know how much their electricity will cost in five, 10 or 15 years. Corporate/non-utility demand will continue to develop. Google, for example, has a 100 percent renewable-energy goal and has so far signed contracts to purchase over 2 gigawatts of wind and solar energy. More than fifty other companies, such as IKEA, Nike, Hewlett-Packard, and Starbucks, have also pledged to source 100 percent of their electricity from renewable sources. The illustration below shows the average wind speeds throughout the U.S., with the highest speeds clearly in the center of the country. Still, if the focus is on "decarbonizing," a cheaper approach is to substitute natural gas or nuclear for coal. In locations such as England, the cost to remove the same amount of carbon with natural gas is 5-7% of what it costs with offshore wind farms. In 2015, wind produced 191 million megawatt-hours-eight times as much as photovoltaic solar-according to the U.S. Energy Information Administration (EIA). This represented 4.7% of the country's electric generation total, with coal and natural gas each coming in at 33%, nuclear at 20%, and hydropower at 6%. Two operational issues for wind power are a) intermittency with the consequent need for backup and b) the inability to store the power produced, requiring facility or grid operations to instantaneously adjust up or down. Nuclear plants run at 90% of capacity whereas wind turbines are only 25% efficient (and solar 15% efficient). Per Charles Frank of the Brookings Institution, this means wind and solar are much more expensive than nuclear at replacing coal-fired plants. Dr. Jay Lehr, a geological engineer and hydrologist quoted in the Wall Street Journal, notes that the power generated by a wind turbine varies with the cube (cube!) of the wind speed. Thus, "when the wind speed doubles--say from ten to twenty miles an hour--the energy output increases by a factor of eight (2x2x2)." In very high winds, turbines must shut down because centrifugal force can tear apart the blades. Intermittency is, for now, addressed by using back-up from consistent sources like nuclear or natural gas. 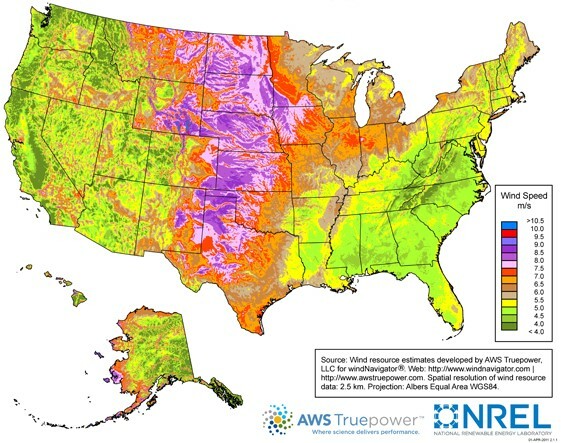 Moreover, wind energy has what expert Robert Bryce refers to as the density issue: wind (and solar) require far more land to capture and convert the same amount of energy as coal, gas, or nuclear generation: per the Environmental Protection Agency (EPA), the most effective wind power companies can generate five kilowatts an acre. So 192,000 acres are required to generate a billion watts, whereas conventional coal, gas, or nuclear plants can generate a billion watts on a few hundred acres. 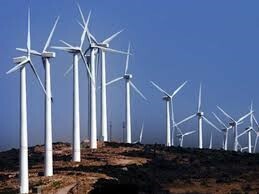 Another significant issue is the large eagle, bird, and bat kills from wind turbines. Dina Cappiello, writing for the Associated Press in 2013, notes, "Wind farms are clusters of turbines as tall as 30-story buildings, with spinning rotors as wide as a passenger jet's wingspan. Though the blades appear to move slowly, they can reach speeds of up to 170 mph at the tips, creating tornado-like vortexes. Flying eagles behave somewhat like drivers texting on cell phones; they don't look up. As they scan below for food, they don't notice the blades until it is too late." According to a study published in March 2013 in the Wildlife Society Bulletin, wind turbines globally kill 573,000 birds per year including 83,000 birds of prey. California District Judge Lucy Koh, an Obama appointee, ruled against extending US Fish and Wildlife Service (FWS) "eagle take" (eagle kill) permits from five years to thirty years in August 2015. However, FWS re-proposed them in May 2016. Public comments ended in mid-July 2016 and a ruling has not yet been made. Environmentalists and others cite the 1918 Migratory Bird Treaty Act (which protects 1000 species) and the Bald and Golden Eagle Protection Act. According to Bryce, the change to 30-year permits would allow wind-energy producers to kill or injure as many as 4,200 bald eagles a year out of an estimated continental U.S. total bald eagle population of 72,434. The golden eagle-the bird on the great seal of the United States-is even more at risk, with a population of 40,000. FWS believes golden eagles could sustain a loss of 2,000 birds a year. Current losses at wind facilities are not known; however, FWS believes 545 golden eagles die each year from all collisions. The issue of eagle, bird, and bat kills has yet to be satisfactorily addressed. Another concern is the noise, vibration, and heat effects of the turbines on people living nearby. For example, a 2012 study in central Texas found that the ground near large wind turbine installations was 0.72 degrees hotter at night than before, due to turbines pulling warm air down and pushing cool air up. Residents of some locations (Vermont, Martha's Vineyard) are also concerned about impinging on tourist and resident landscape vistas. Vibration, noise, and heat effects are ameliorated by situating wind turbines further away from residences. Regions concerned about the intrusion of windmills on views have found regulatory methods to shut down wind development plans. The wind industry provides construction and operational jobs. In states like Oklahoma, where the cost to better dispose of fracking wastewater (to prevent earthquakes from deep wastewater disposal wells) increases the cost of drilling past the point of profitability, constructing wind turbines has become a good alternative source of both energy and jobs. Finally, wind companies make lease payments to farmers for hosting wind turbines. These payments provide a stable income that counterbalances the volatility of commodity markets for wheat and other crops. For more on wind energy companies, tax credit details, and farm rental payment information, log in now or, if you are not already a subscriber, subscribe now.